Activeaid Model 285 Chair is made with a stainless steel frame for years of durability. This rolling shower chair is also a commode chair on wheels. 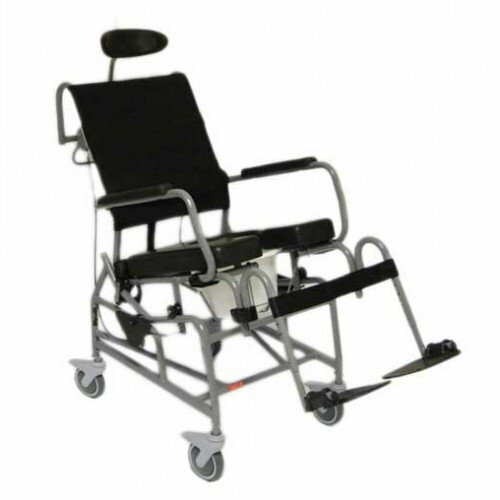 Utilizing tilt in space technology, this commode shower chair is designed with a "Gravity Assist Tilt" or "GAT" function that offers easy tilt operation for patients weighing 75 to 350 pounds. This gravity design function is low maintenance. The Activeaid 285 Tilt-In-Space Shower Chair is designed with a seat height to accommodate over the commode use for easier toileting functioning. This shower commode chair also has an attachable pail for bedside use. The attachable pail is an anti-spill bucket, making the Activeaid Model 285 Chair ideal for home care or nursing home care use. 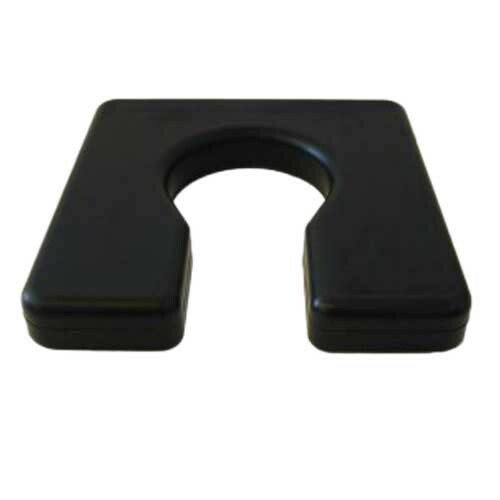 The design of the seat provides pressure relief for the patient. 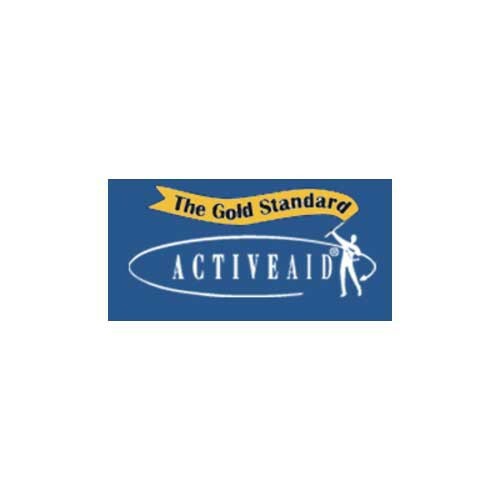 Activeaid manufactures many mobility chairs and devices, including the 620 Rehab Shower Commode Chair, the Folding Bath Chair, and the 283 Tilt-In-Space Plus Shower Commode Chair. Multiple features provide better patient support. Comfortable mobility chair for both showering and toileting. Seat offers pressure relief for patients with sensitive skin. Bedside commode bucket with anti-spill design. Versatile commode shower chair for home or institutional use. Adjustable tension, sling style back. Cervix support with vertical and horizontal adjustments. Comfortuff flat molded style seat. Flip-back, padded, removable arms that can be locked for weight shift. Dual locking 5 inch stainless steel/composite casters. Dimensions: 285 x 18 Inch or 285 x 20 Inch. Overall Width: 24.5 or 26.5 Inch. Seat Width: 18 or 20 Inch. Under Seat Clearance: 19.25 Inch. Top of Seat to Top of Back:	22.5 Inch. Floor to Top of Seat:	25 Inch. Floor to Bottom of Seat Frame:	19.25 Inch. Upright Seat Slot Width:	4.5 Inch. Back of Seat to Start of Slot:	3.5 Inch. 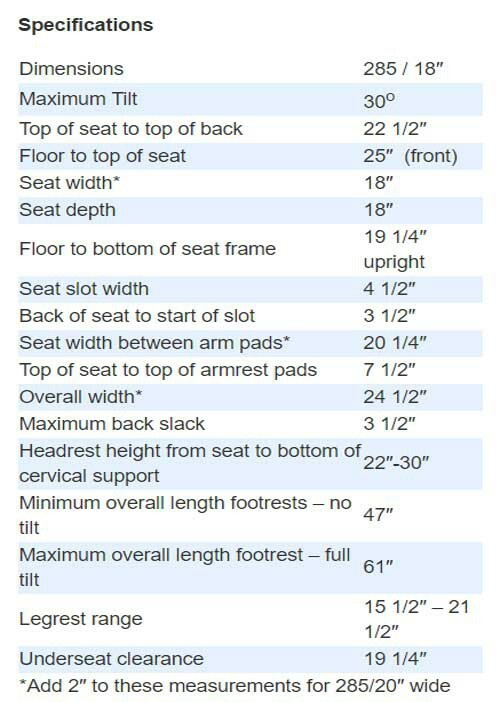 Seat Width between Arm Pads:	20.25 or 22.25 Inch. Maximum Back Slack: 3.5 Inch. Headrest Height from Seat to Bottom of Cervical Support:	22 to 30 Inch. Minimum Overall Length Footrests at No Tilt:	47 Inch. Maximum Overall Length Footrest at Full Tilt:	61 Inch. Legrest Range: 15.5 to 21.5 Inch. 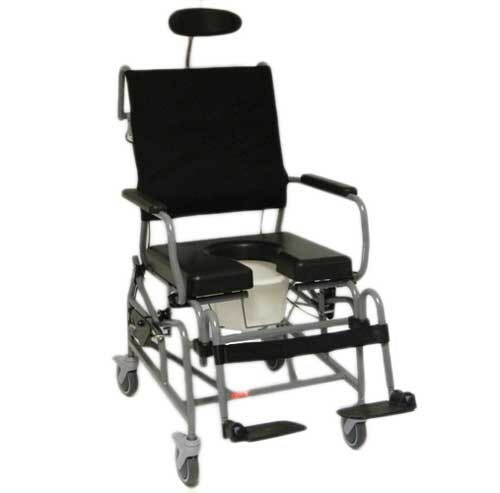 Activeaid Shower Chair Model 285 Medical Justification Narrative for use with insurance reimbursement.